Ladies, I was about to go there. The Rolling Stones can’t be beat with that song, and it is aprapo is it not? 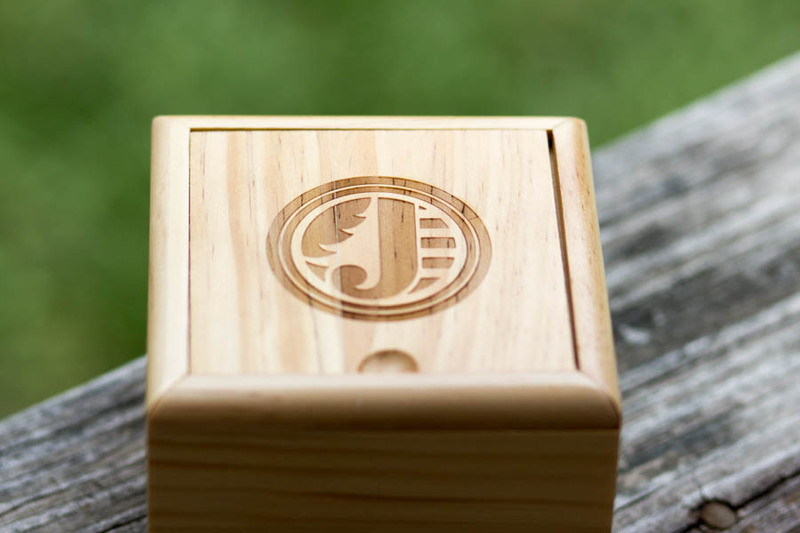 However, I decided in my review today of the JORD wooden watch to show you how I spend some of my time. 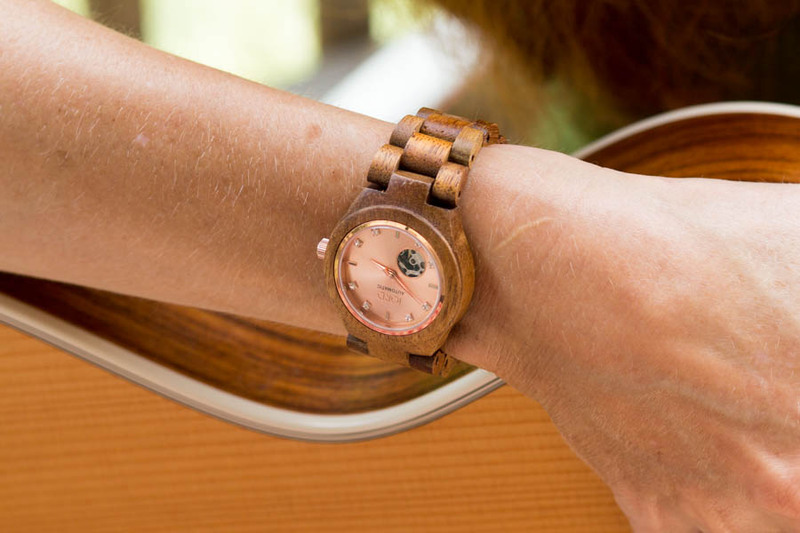 First, these beautiful wooden watches have been admired by many bloggers and showcased as well for their gorgeous unique wood craftmanship . I thought first I would share with you pictures of the KOA wood and Rose Gold watch, the Cora collection, I chose from #JORD. Love the #wooden box it came in! Gorgeous detailing right from the start! Slowly I opened the box to reveal this stylish new #timepiece! I love the Koa wood and the rose gold watch face. Koa wood is the wood on the back of my Taylor guitar. The Tortoise sunnies made more a nice additional accessory alongside of the watch. #Watchme– Perform with my Taylor guitar. 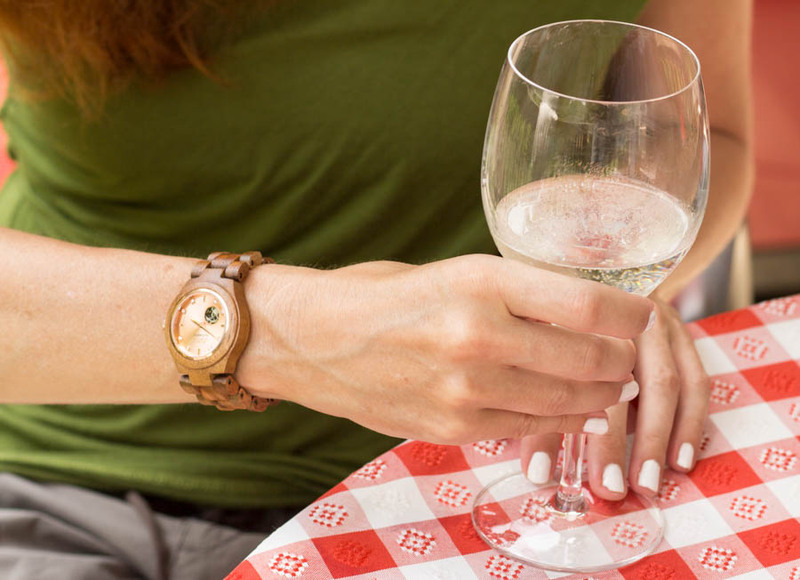 #Watchme: Enjoy a refreshing glass of Pinot Grigio on a hot summer day! #Watchme– As I Styled my outfit of the day. #ootd I wanted to represent colors from nature with an off the shoulder grecian-styled top, olive green cargo pants, a leopard clutch, light brown drop earrings and a summery pair of sandals with browns and copper tones. 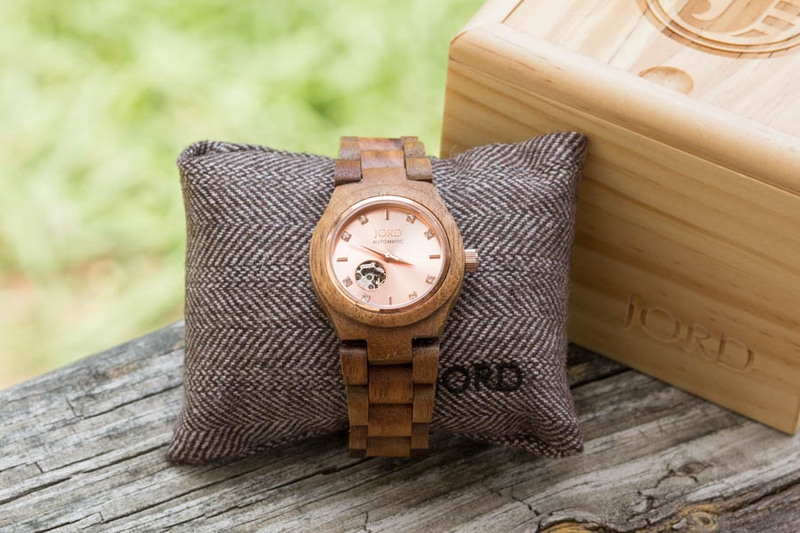 What I love about #woodenwatches and the #JORD company is that the wood is unique, the styling and the wood is so beautiful with it’s rich colors. I am a huge fan of nature, and I love the name of the company, as JORD means: ‘earth, soil, land”. When I can “get away” I love to go to the mountains. The woods and its natural surroundings of plants, trees and animals, has always been a place of peace for me. As a young girl, I was a Girl Scout, so camping in nature was one of my favorite things to do. The fresh air, no makeup, no computers or phones, just oneself with my thoughts and views have always appealed to me. I feel the most relaxed there, as others may in a beach setting. The choice of wood is hard to select as there are so many beautiful watches. I decided upon the Koa wood as I love the medium brown shade and the fact that my Taylor guitar is in part Koa. I also love rose gold, as a band on another watch of mine is rose gold, but it the rose color against the medium brown wood particularly stood out to me. The watches are light, which was a surprise, as with wood, I expected something heavier, so this is a plus! 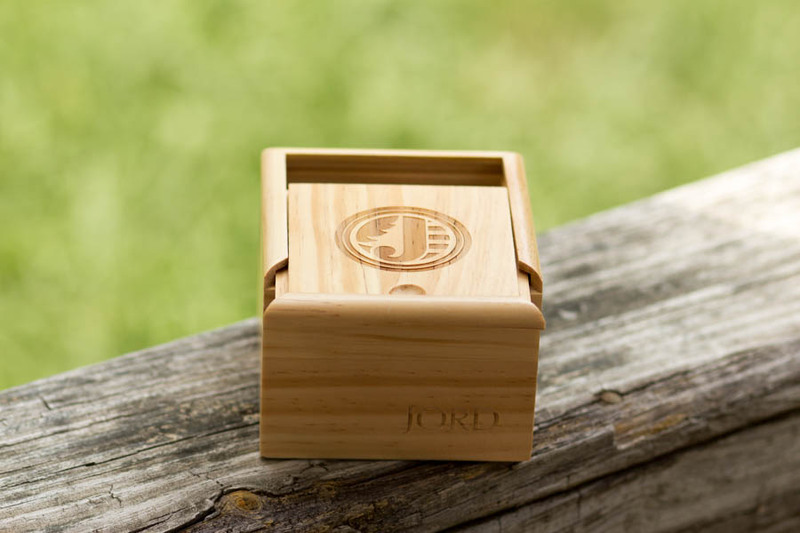 I am always on the lookout for unique “wearable art”, and I find this in my #JORD #woodenwatch! Great service as well, Justine was such a joy to work with, I truly enjoyed working with this company. Just that extra touch of adjusting my watch band whe I received it, was something I appreciated! 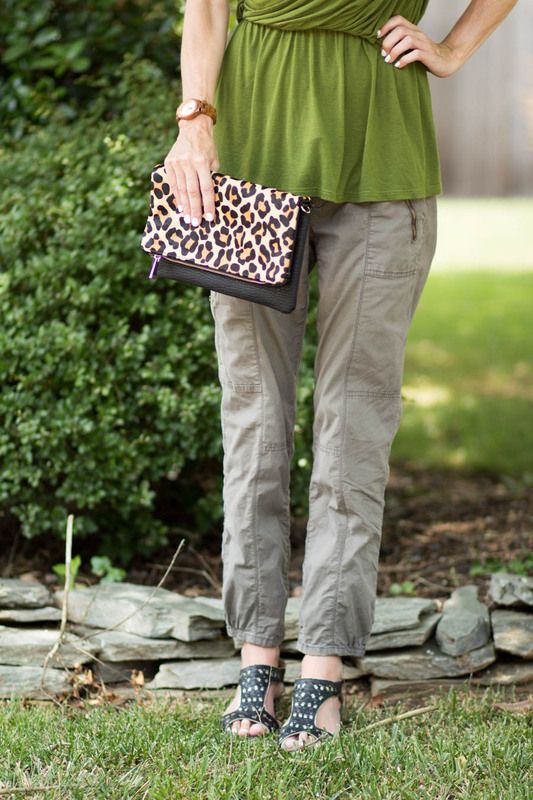 Cora Series: Koa with Rose Gold c/oJord, Top (Poshmark), Olive cargo pants: ( Loft, older/, Sandals: Clarks, Metal Necklace:Baublebar(Poshmark), Leopard clutch ( Express) Earrings: Jewel Box. Channeling Joan-#MadMen Please Don’t Go! Cool watch! 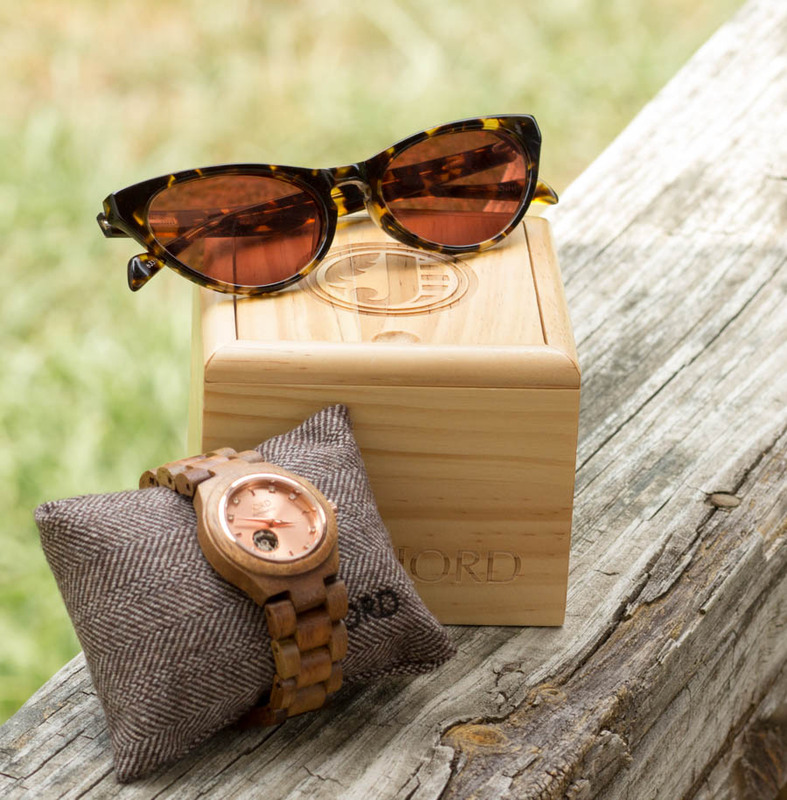 I love wooden accessories.. glasses, necklaces, and now watches! Thanks for sharing at Friday FInds… hope you come again this week! 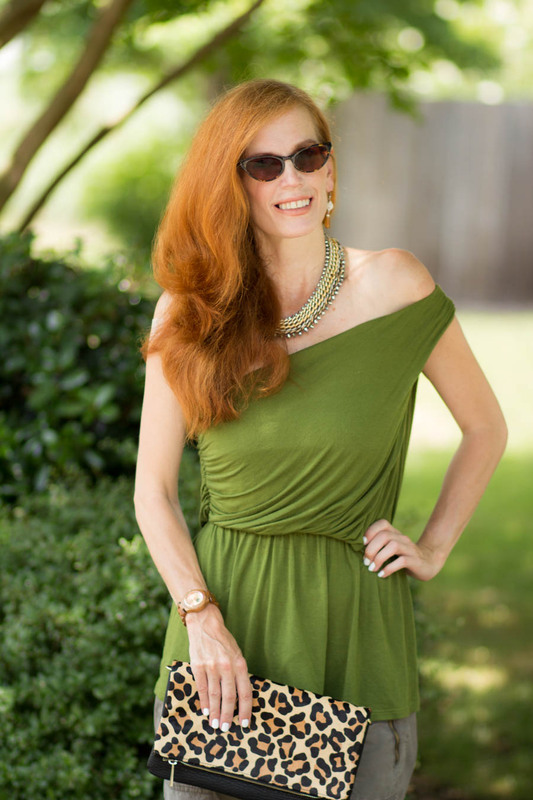 fabulous green tunic! 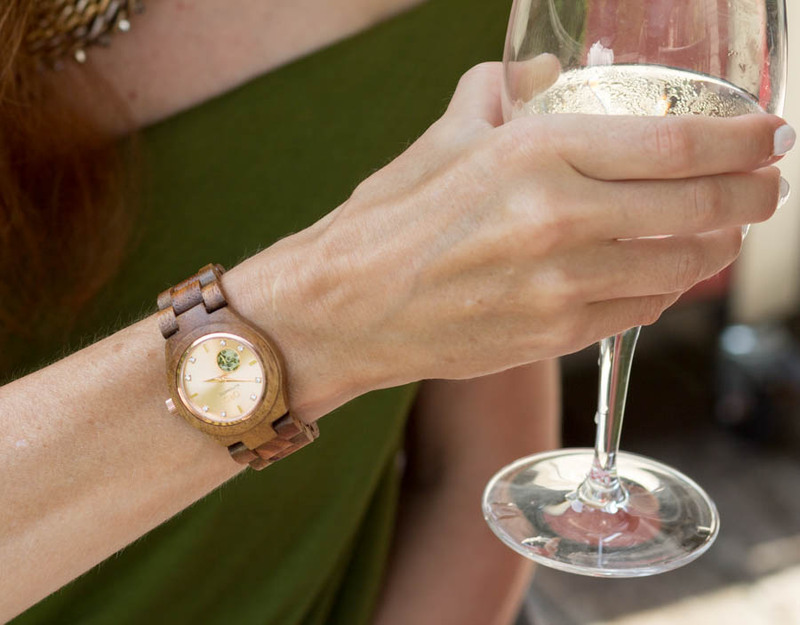 Love the wood watch, the rose gold is perfect for your skin tone. Love it with that glass of wine and guitar! Great outfit and your Jord watch looks beautiful! Awesome review! I love the pics with your guitar! The coolest! And this outfit is super chic and cool, Jess. LOVE! Thanks 4 linking up to Top of the World Style. Your outfit and #JORDWATCH are gorgeous. It’s designed beautifully, and it looks very feminine, I actually really like it. Thank you for sharing! Watch made from wood?? Wow! How cool and beautiful is that..love the one you are sporting..very pretty..Happy 4th! Aren’t Jord watches amazing! I wear mine all the time and I already want another one! 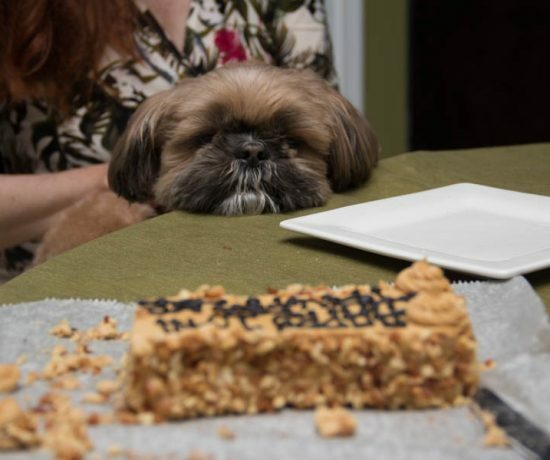 I love the one you picked out. The rose gold face is so pretty. I hope to see you tomorrow for the Flashback Fashion Fridays link up! This watch is SO cool. I love the natural look! 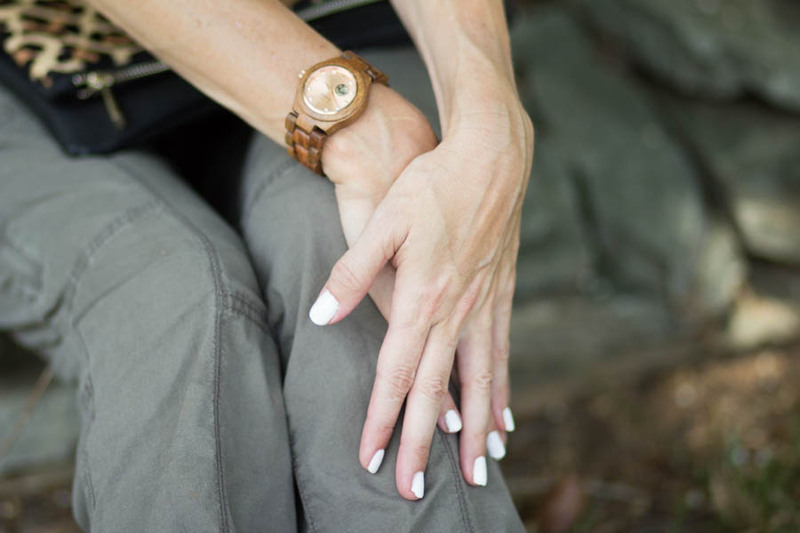 Such a cool watch, lady! 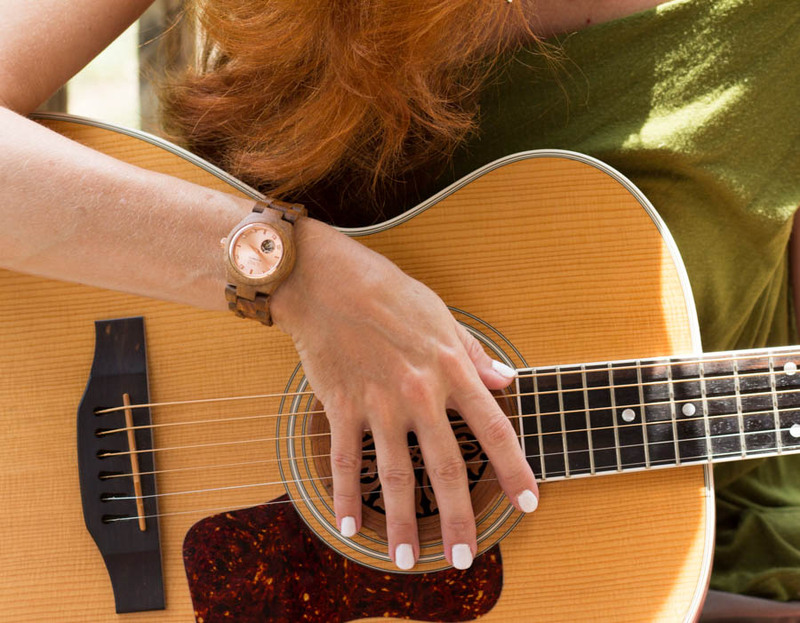 Love the rose gold and it is insanely cool that the watch is the same wood as your guitar! In love with Jord watches and I love the one you picked! Love that green top too! So pretty!